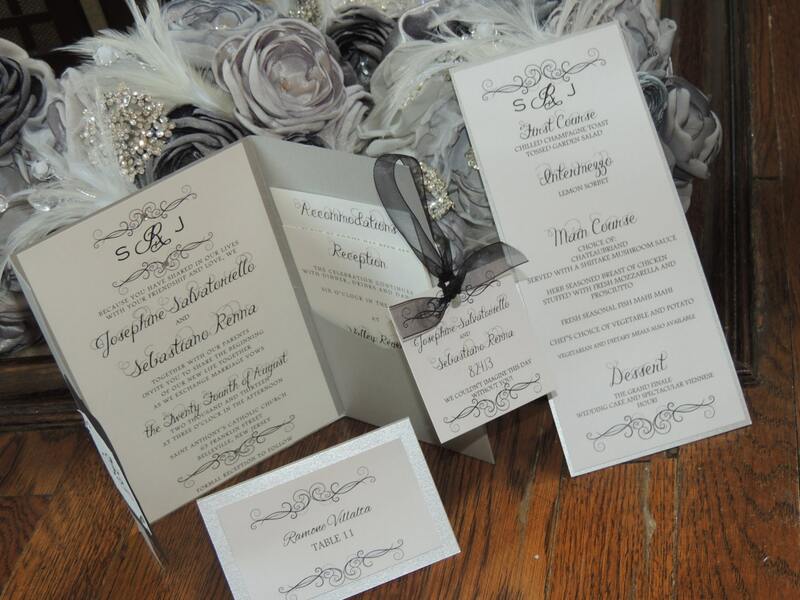 These table menus are part of our matching silver swirl design set! 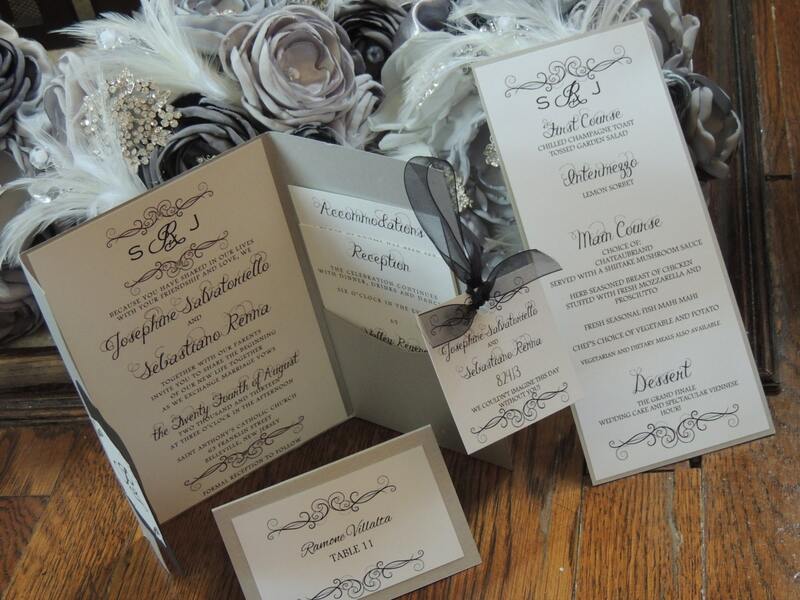 Menu arrives double layered with metallic backing and matte printing layer! Costumized with your monogram and swirl design! 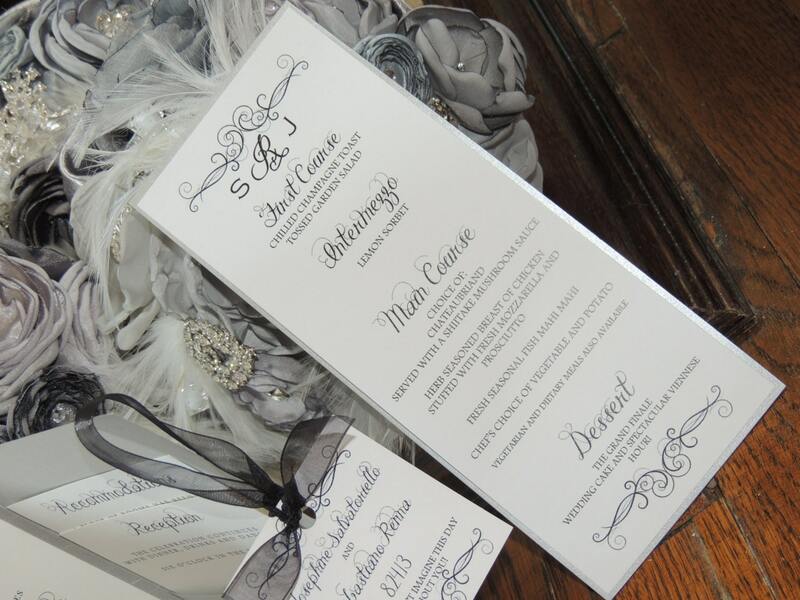 Matching accessories such as programs, place cards, table numbers, toasting cards, save the dates, invitations are available and many are pictured in this listing.